Living… on the Heart of Gold spaceship. Zaphod has managed to steal the beautiful ship decked out with large video screens, an excitingly chunky interior, and the latest GPP (Genuine People Personalities) technology. The Heart of Gold is also powered by the Infinite Improbability Drive, allowing the ship to pass through every point in the universe. Profession… President of the Galaxy – an outrageous job for an outrageous man. Zaphod’s main job is actually to distract citizens from noticing what the true rulers are up to, a mission he is more than capable of. Whether it’s stealing the Heart of Gold or downing three Pan Galactic Gargle Blasters in one sitting, Zaphod Beeblebrox will accomplish the task with enough pizzazz to garner the attention of a galaxy. Interests… leading a wild and successful life, which, for some reason, comes incredibly easy to Zaphod Beeblebrox. He didn’t even try particularly hard to become the President of the Galaxy. He just decided that he would and suddenly, he was. Trillian believes that Zaphod’s triumphs come from the fact that he never truly understands the importance of anything he does. Zaphod thinks that it’s because he’s “a great and amazing guy.” Both theories have their merits. Relationship Status… dating Trillian, a genius humanoid astrophysicist he met at a fancy dress party he crashed. How very Zaphod of him. Challenge… uncovering the Question of Life, the Universe, and Everything. 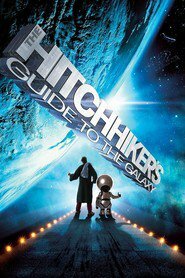 Zaphod has a big plan to discover the secrets of the universe after some jerk forced him to sector off the part of his brain that knew. The only clue to the perpetrator’s identity is the initials burnt into the cauterized synapses: Z.B. Who could that possibly be? Personality… ”clever, imaginative, irresponsible, untrustworthy, extrovert, nothing you couldn’t have guessed” – at least, that’s what the government medical officers’ tests showed when Zaphod underwent screening prior to his nomination as President. Maybe it has something to do with the fact that he’s got two heads and three arms that sometimes fight with each other. Most people just think he’s a narcissist. Classic Beeblebrox lines like “If there’s anything more important than my ego around, I want it caught and shot now,” make it hard to disagree. Zaphod Beeblebrox's popularity ranking on CharacTour is #1661 out of 5,000+ characters. See our top-ranked characters and read their profiles.